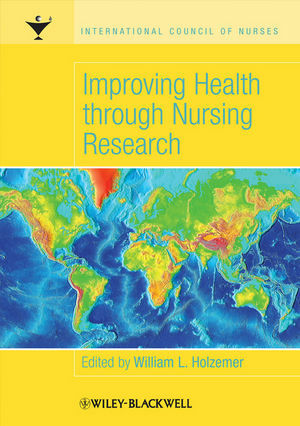 Improving Health through Nursing Research is a practical guide to research and research utilisation in nursing. The book draws upon international expertise in nursing research, reflecting the worldwide demand for evidence-based practice. Part one offers a global perspective on health and nursing and addresses the development of nursing knowledge and nursing theory. Part two investigates the underlying need for nursing research, focusing on improving patient care, enhancing care delivery and developing the profession of nursing. Parts three and four provide an overview of quantitative and qualitative research methods, their selection, use and interpretation . The last three parts of the book address key issues in research ethics and provide practical guidance as to how to prepare a research proposal, undertake research, present and publish findings, and translate research into practice. This publication in partnership with the International Council of Nurses is the essential resource for nurses seeking to understand research and research utilisation. William L. Holzemer is Professor and Dean, College of Nursing, Rutgers University, member Board of Directors of the International Council of Nurses, and Editor of the Japanese Journal of Nursing Science (a Blackwell Publishing Journal).